In today’s world where reckless driving is the order of the day, one isn’t safe with or around trucks. One minute all is good and the next, injured bodies and destroyed properties might litter the place. If you happen to be the victim of such unfortunate event, it’s within your legal jurisdiction to seek a settlement. You can make claims – accidents claims and receive the full settlement you are due. All you need to do is employ the services of an experienced truck accident attorney in Victorville. 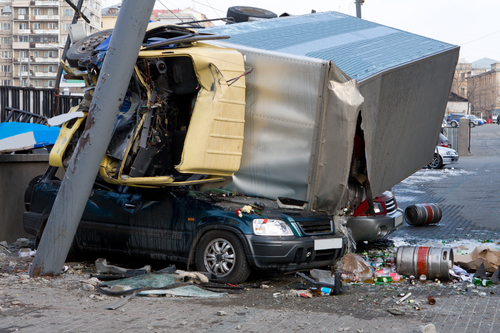 Not sure where to find experienced truck accident attorneys in Victorville? Not to worry, Rawa Law Group is just within your reach. At Rawa Law Group, we are known to be a superior legal firm that has spent over 10 years in helping California citizens make claims that have run into several hundreds of millions in settlement. Our attorneys are well known in California and we have a combined experience of more than 55 years in this business. When we work on your case, we ensure that we give superb services not attainable from other law agencies in the state. We have flexible appointment hours and are open to making home/hospital visit when needed. You will also get one-on-one attention from one of our trusted attorneys and will even keep you informed about your case as it progresses, while also offering free ethical legal advice at no costs. One great thing is that you can get all these services at no upfront costs to you. The only time we receive payment for our legal representation from you is after winning your accident case. Do not hesitate to come to us at Rawa Law Group to hire an experienced truck accident attorney in Victorville, CA.